And now it's your turn. Head over to the CASology blog and check out the gorgeousness from the Design Team and then play along. You have two weeks for this challenge and then we'll be back on Tuesday, 6 January with a new challenge!. Link your creations to the CASology blog and remember that the deadline for entries is Monday, 5 January at noon (CST). There are a lot of fabulous Christmas songs out there but Silver Bells is one of my favourites especially when it's Bing Crosby's version. His voice just sounds like Christmas! The design team gals have gone in a few different directions with this cue word and I can't wait to see what you do with it! 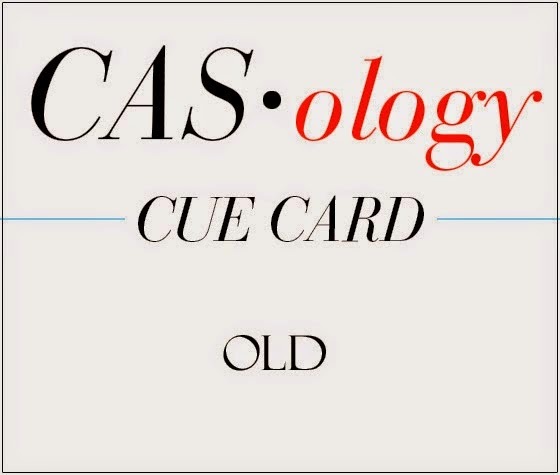 My card this week uses "old" in a lot of ways. 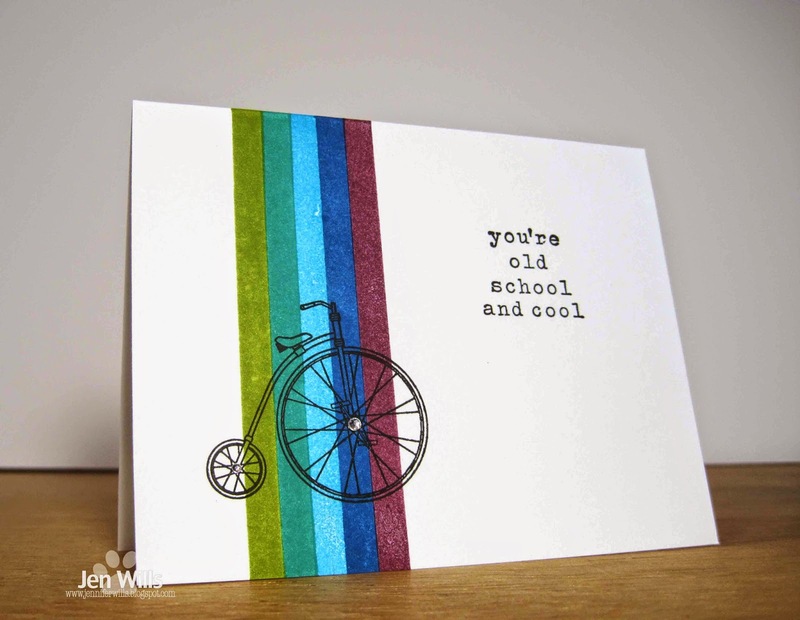 All the stamps are from older collections, the penny farthing is an antique and the sentiment uses the word cool in it. A triple old play! 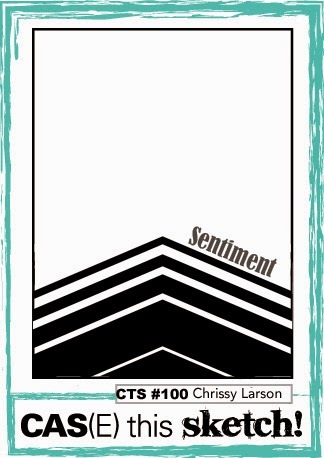 Be sure and check out the rest of the awesomeness from the design team and then play along! 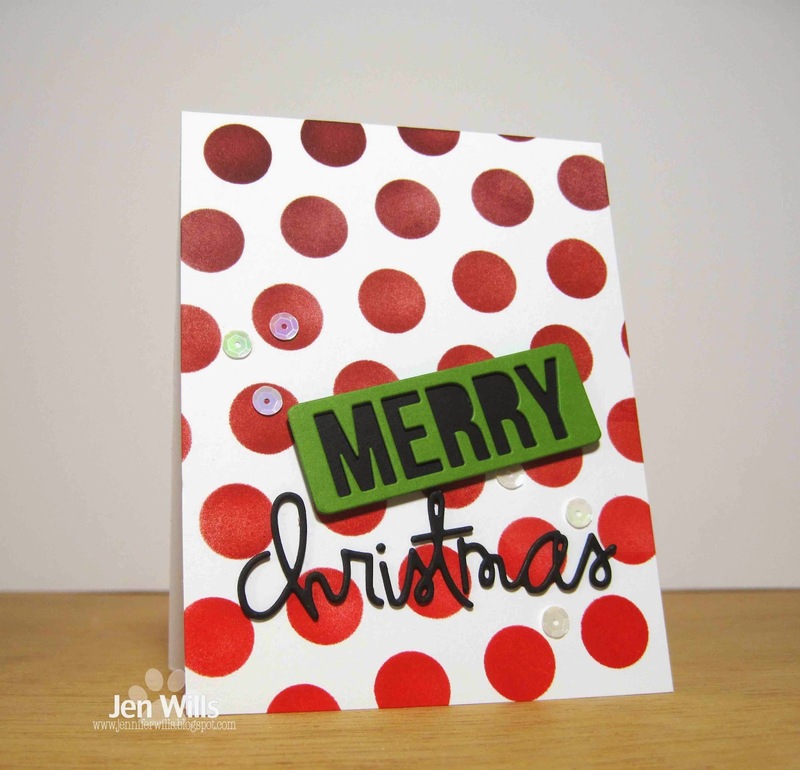 I was in a bold base-colour kind of mood when I made this card so I kept my image clean and white to balance it out. 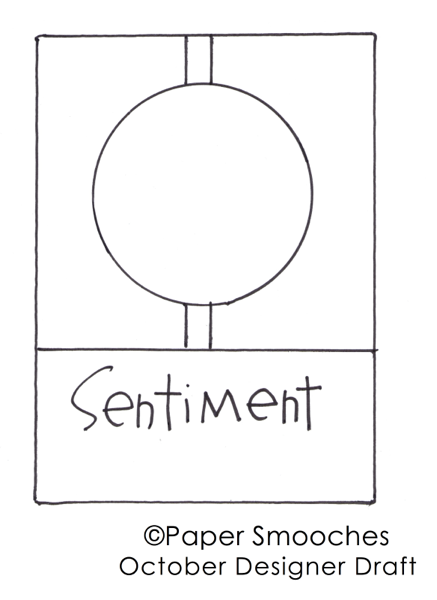 I coloured the flames yellow to tie the image to the bright sentiment. 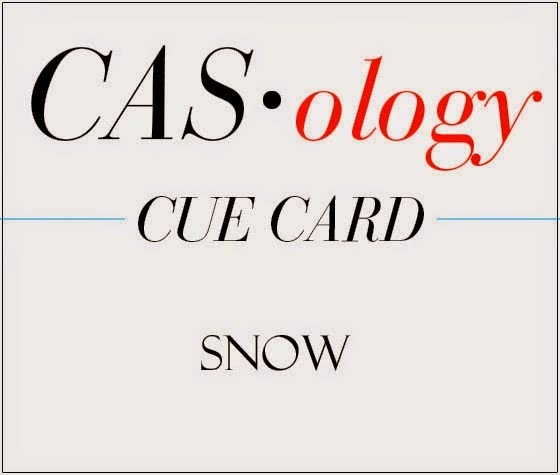 Hop on over to the CASology blog and check out all the goodies created by the Design Team gals and then play along! Nothing better than a CAS rainbow huh? Especially tucked into a corner to preserve all that lovely white space! Be sure to head over to the CASology page to check out the rest of the gorgeousness from the Design Team - it's an especially fabulous gallery! Hello there! I was so excited when Chrissy Larson contacted me to help celebrate the 100th sketch at CAS(E) This Sketch! I was a member of the design team from November 2012 - June 2014 and I give CTS full credit for helping me overcome my fear of sketches. I play along now and then and always check out the latest creations from the design team - it's a stellar group of ladies! Anyway I spent a ridiculously long time on a card before finally admitting to myself that it just wasn't working and I needed to start over. Thankfully once I saw Therese's card over at Muse this idea came together very quickly and easily. 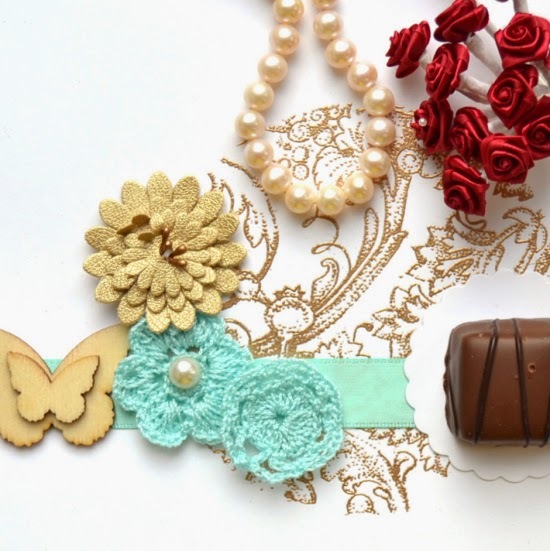 I hope you'll play along and make this 100th challenge a super special one! 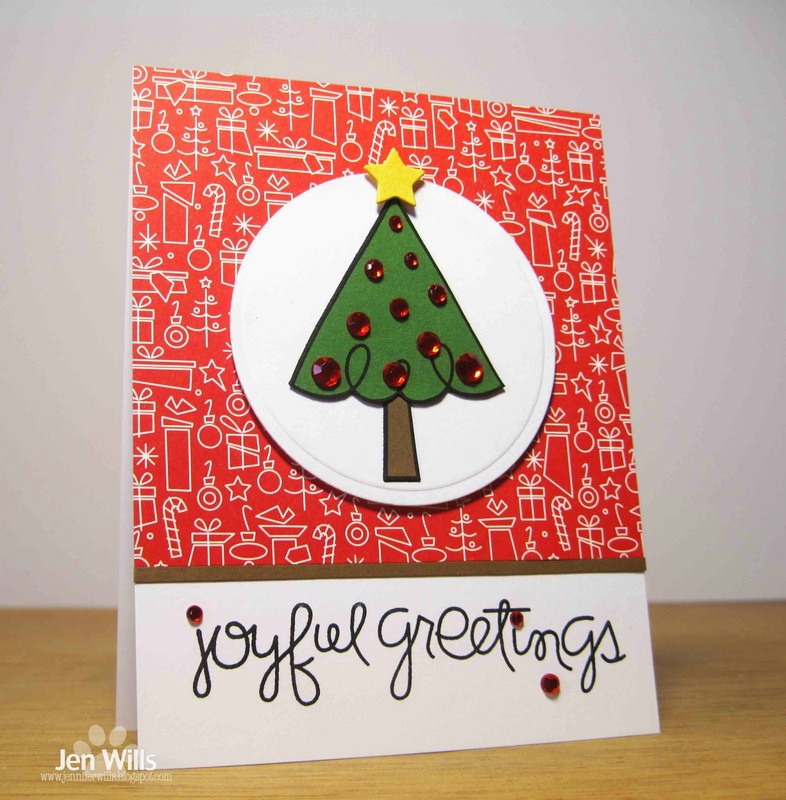 I'm also playing along with the Moxie Fab Tree-Mendous Trees challenge and the Simon Says Wednesday Star challenge. 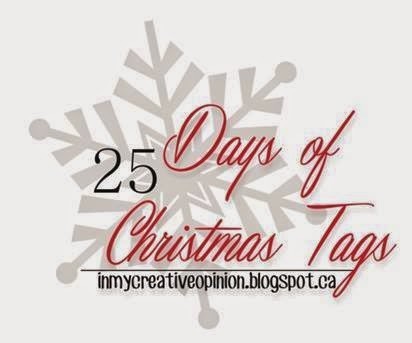 This week the DT is playing along with our teamie Tracey McNeely's annual 25 Days of Christmas Tags event! We've all used our cue word to make CAS tags instead of cards. 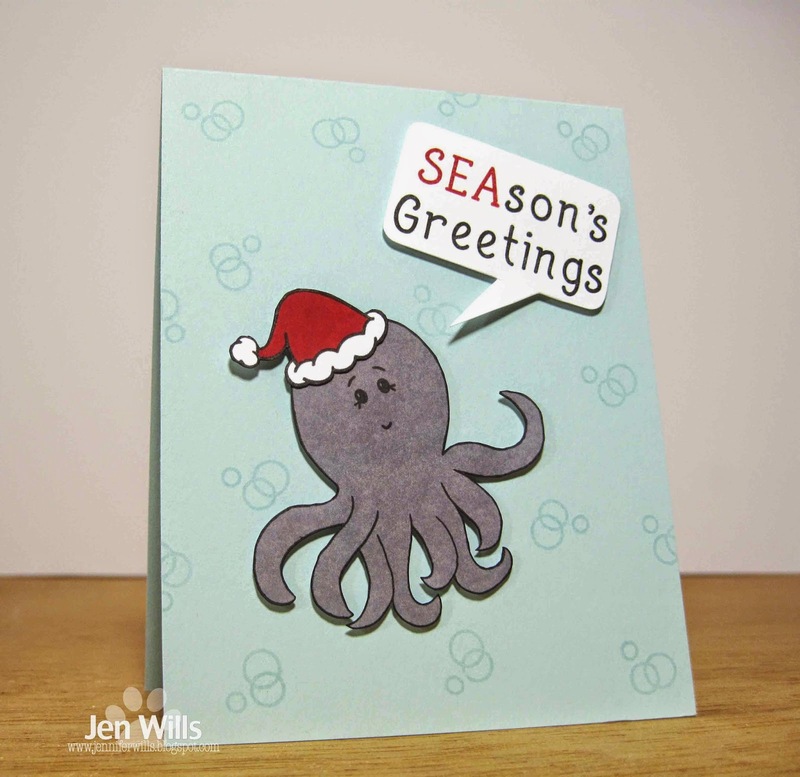 I'm generally not much of a tag maker and when I do make them I usually end up sticking them onto cards! LOL! 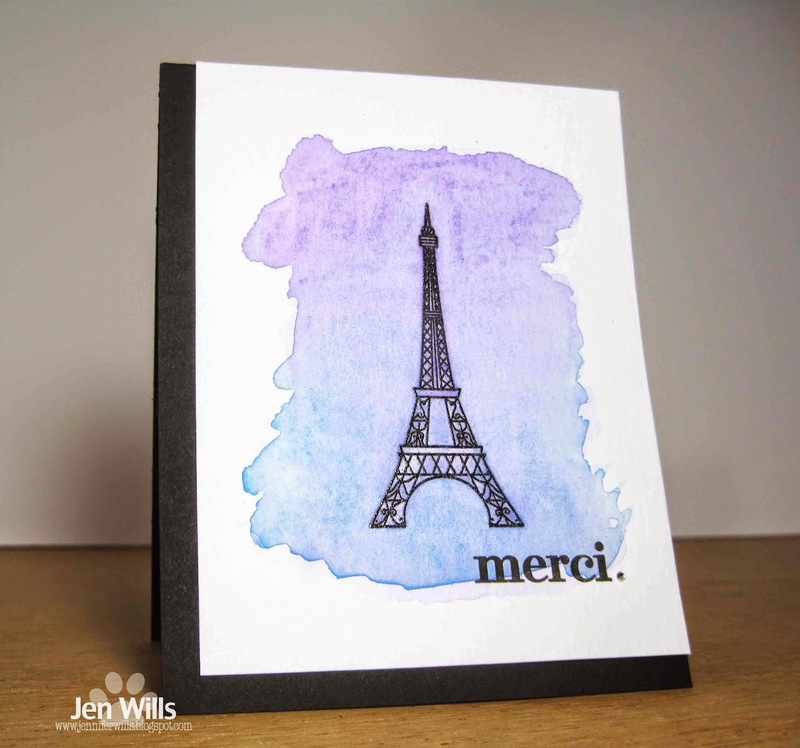 However, there is so much amazing inspiration over on Tracey's blog that I had no trouble coming up with my own design this week. Awesome right? 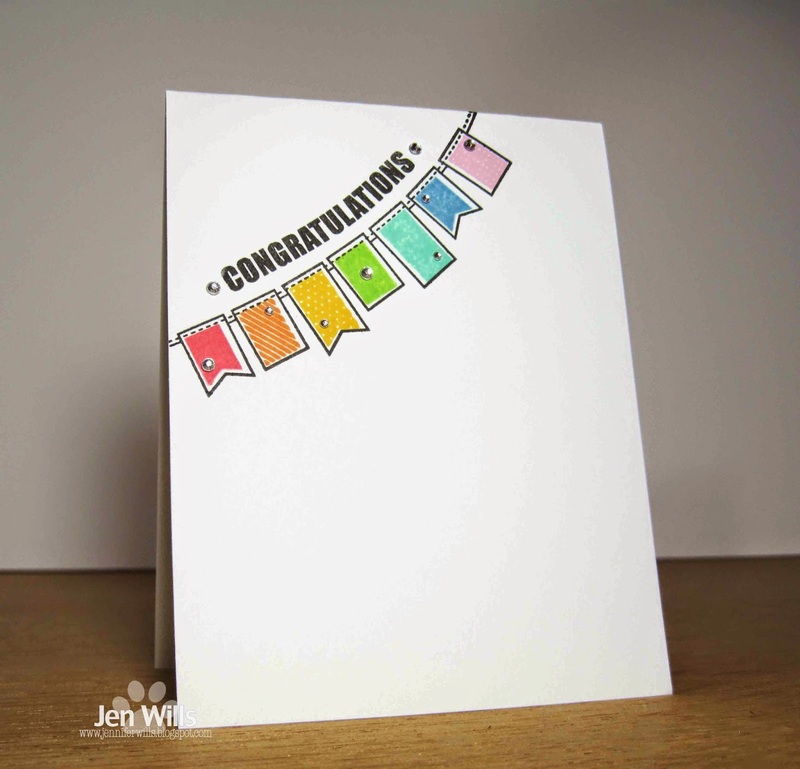 Tracey is offering a chance to win every day by commenting on her blog posts. 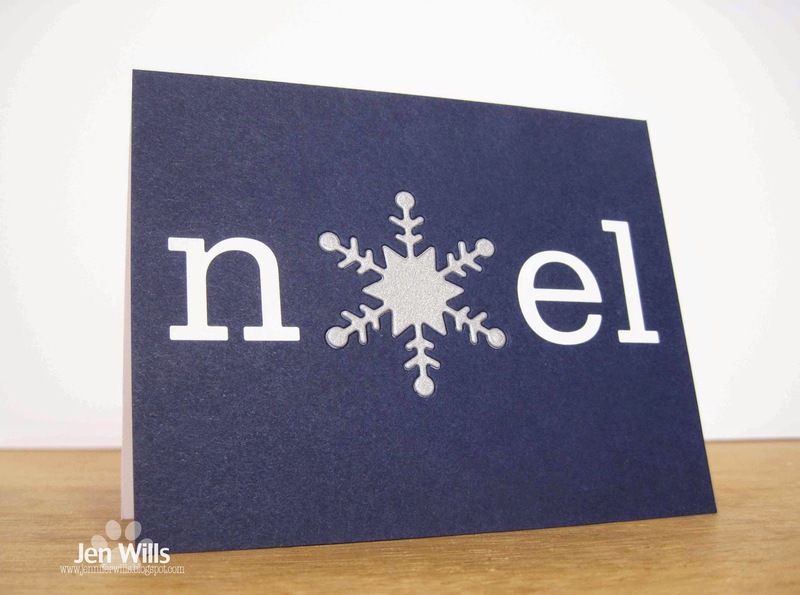 She's also asked each of us from the DT to draw a name from today's post to add to her prize draw. 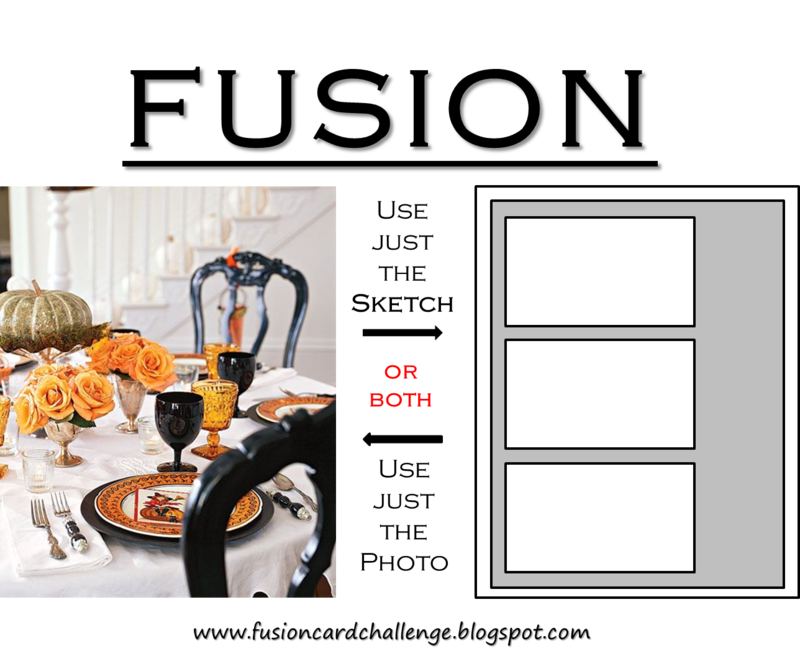 You have until November 27th to comment here for an extra chance to win! 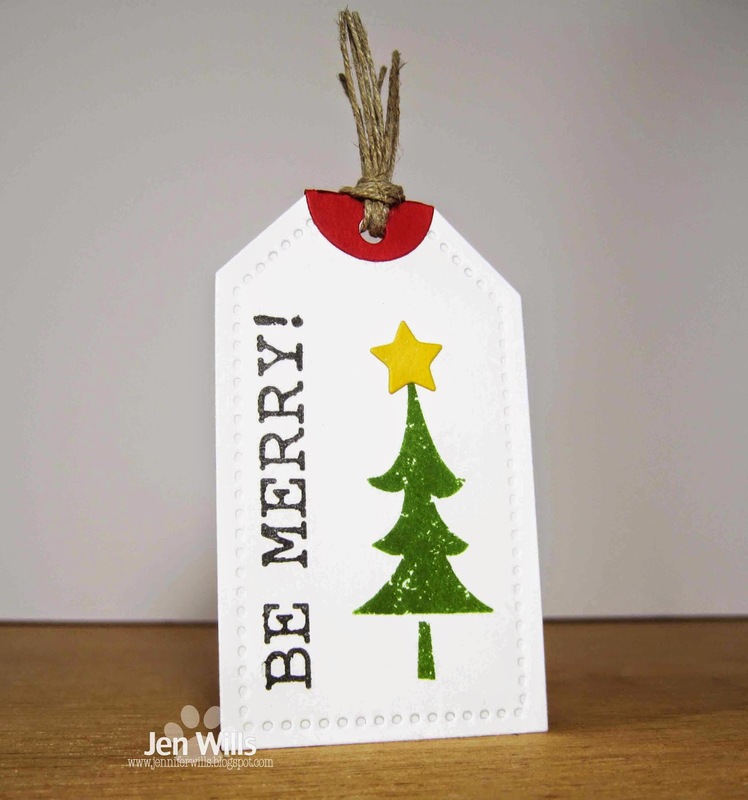 Be sure and visit the rest of the Design Team to ogle their gorgeous tags and also to comment for even more chances to win! 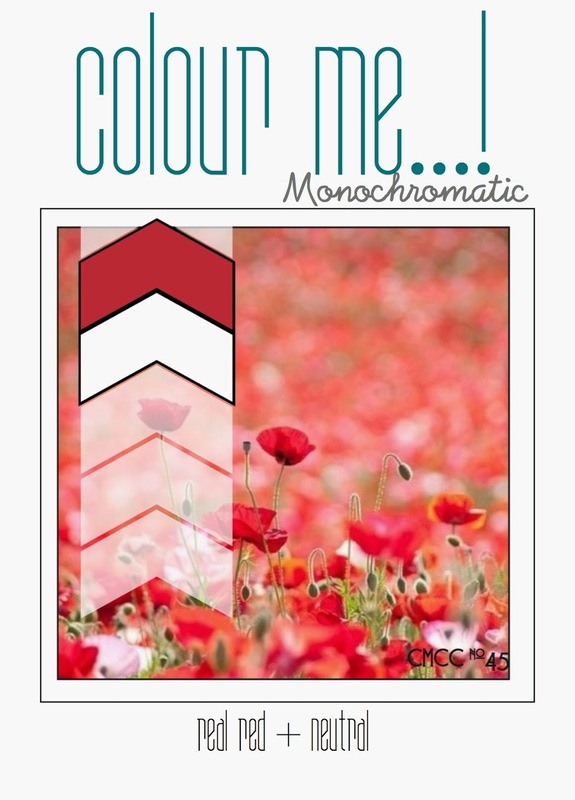 Next up is the Monochromatic challenge at Colour Me…! 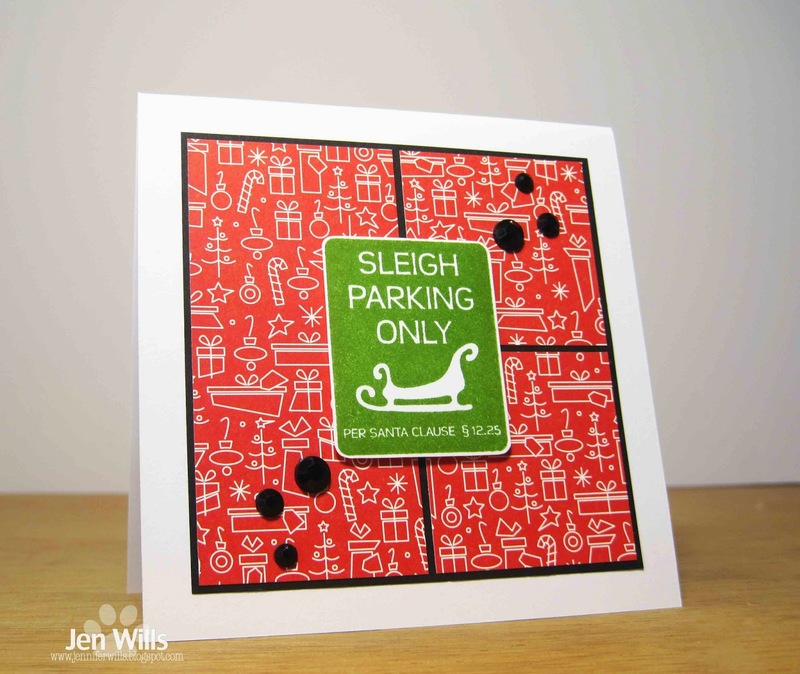 I've gone for Christmas polka dots again and this fun subway style stamp from Fresh Squeezed Stamps. 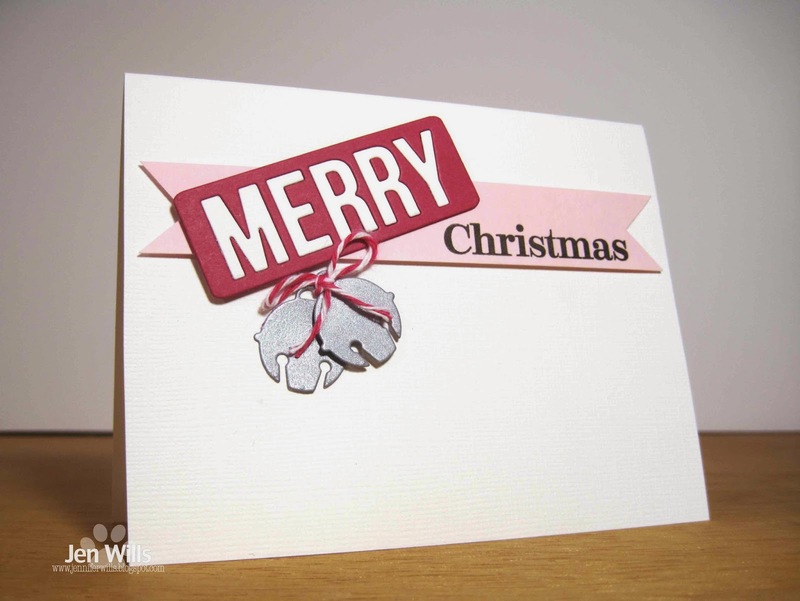 I'm loving my Wow Superfine embossing powder - it gives such a crisp image! That's it for me today. 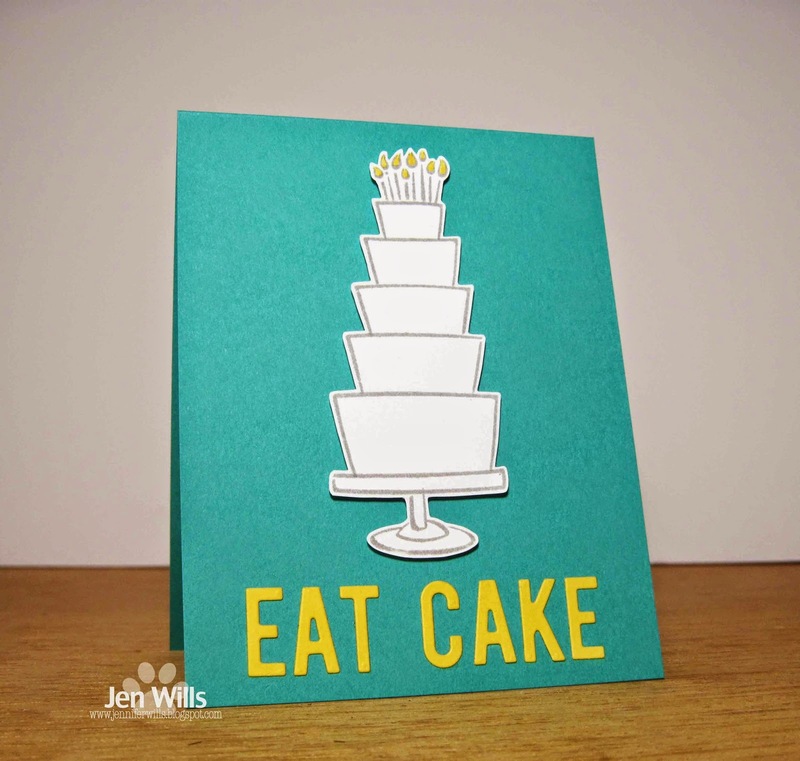 Off to take Atti for a swim and then get to work on card orders before I drown in them! Have a lovely day! It felt so good to be back in the Craft Cave today after another unplanned break. Wednesday and Thursday I was in bed with a migraine. My own fault really as I had recently told someone I hadn't had a bad one in ages. And this was a bad one. I haven't had a headache free day since but at least they're minor enough that I can function. I even managed to spend half the day outside with Luis yesterday clearing more trees. 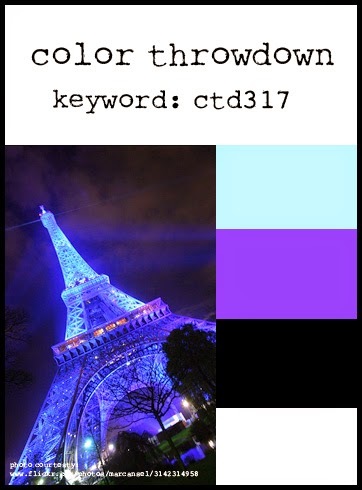 Anyway today's card is for two challenges. I used the sketch from the Fusion challenge and the photo inspiration from Festive Friday. 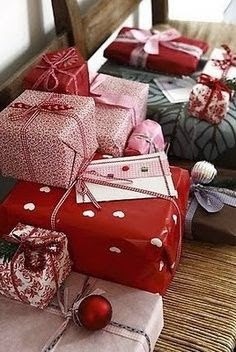 I was inspired by the gifts and the reds. 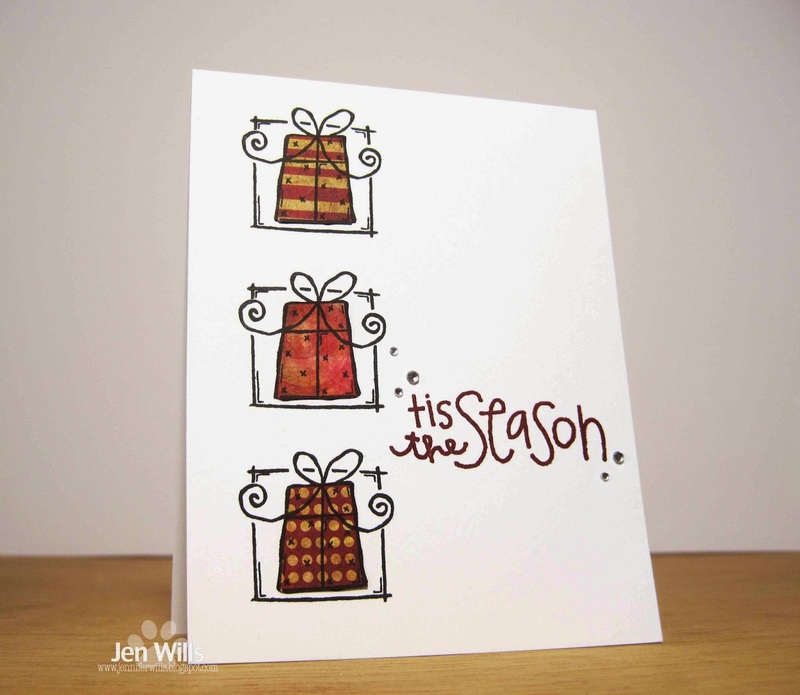 I used some Fancy Pants paper to paper piece the Woodware gifts and added a Sweet Stamp Shop sentiment. And that's it for today! See you tomorrow! 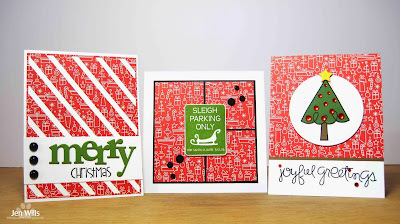 I've got a trio of red and green Christmas goodness today! 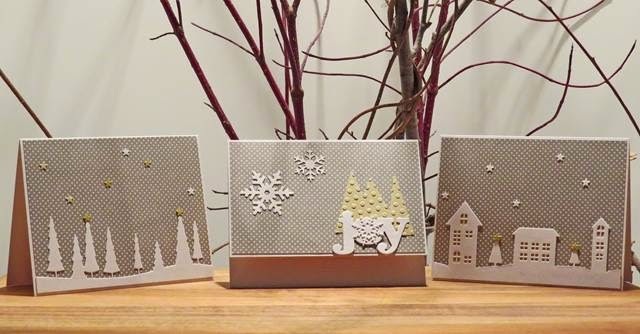 Michele is the guest designer this week over at Muse and she's set us a fabulous challenge to make three cards using one piece of patterned paper. I have a ton of single sheets of 12x12 papers that I bought during sales over the years. 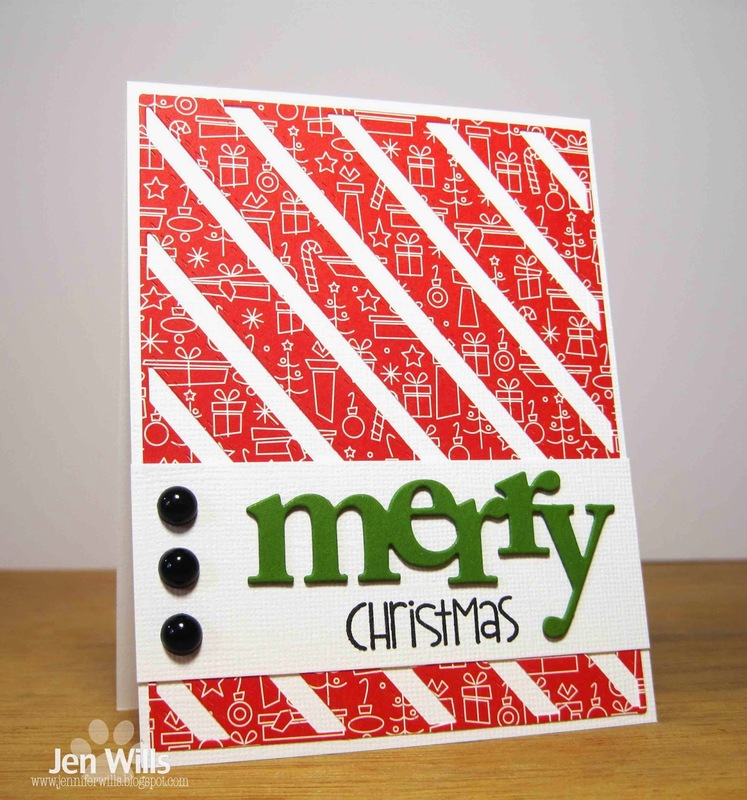 This challenge was the perfect chance to wipe the dust off the pile and put that paper to use! For two of the cards I used sketches from other challenges to help me out. 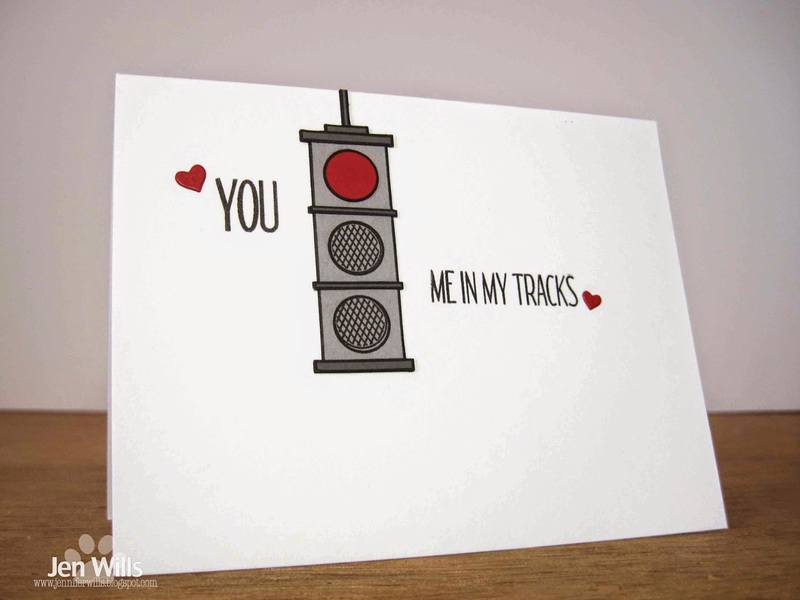 The above card uses the Designer Draft sketch from Paper Smooches Sparks. 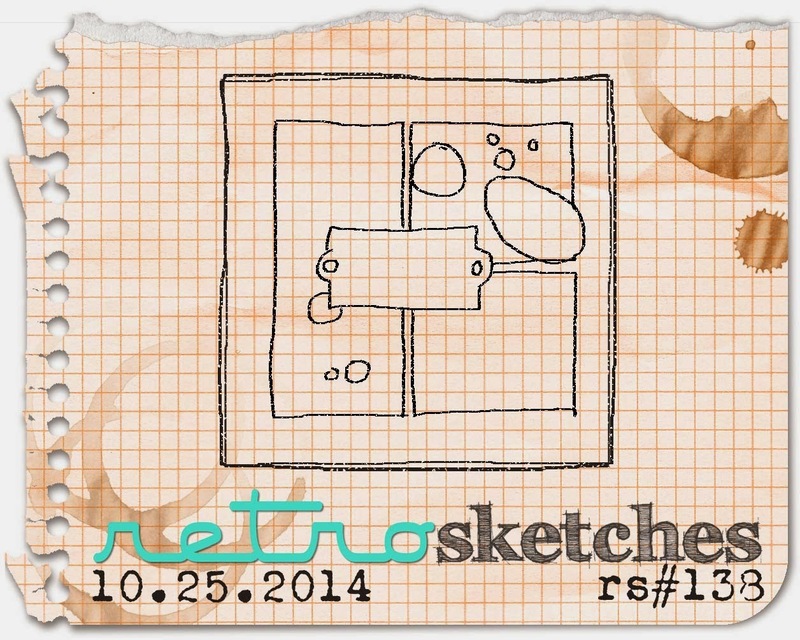 For this card I used the current RetroSketches sketch and a Fresh Squeezed Stamps image. 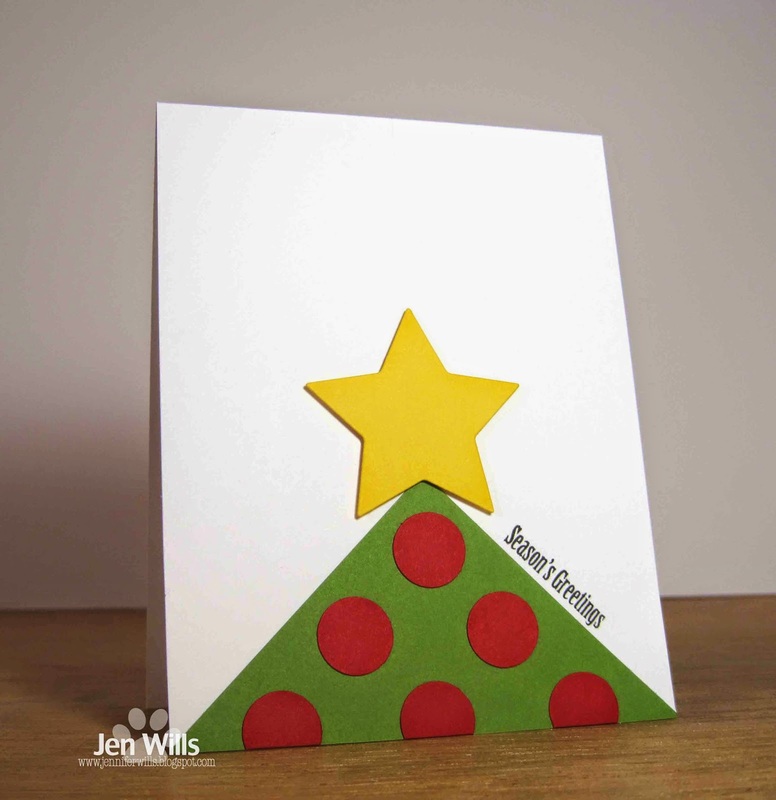 This final card is not attached to a challenge but was inspired by this beauty by Lynn from The Mango Boys and Me. I'd forgotten about this Lil' Inker Stitches and Stripes Cover Up Die but dug it out after seeing Lynn's card. 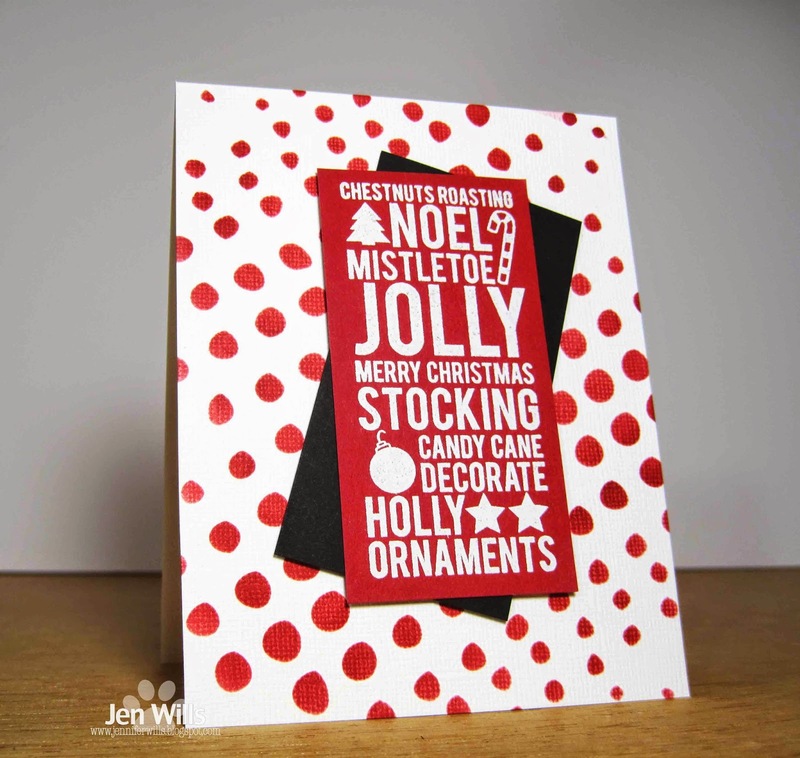 I've got a card today for the October Altenew challenge. 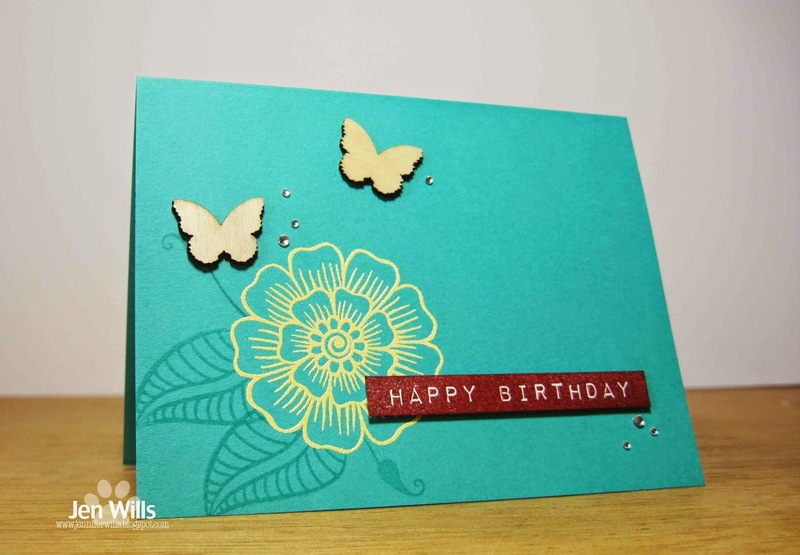 I was inspired by the colours, flowers and butterflies. I tried a couple of different gold embossing powders for the flower but I don't know if they're old or what but they didn't melt well and mostly ended up rubbing off of the card. So I went with this Zing powder in Butter. I really like how it pops against the turquoise and contrasts with the Cherry Cobbler colour. That's it for me. Hope you have a fabulous day!